Our aim is to provide all our guests with a safe, peaceful and enjoyable camping and touring holiday. Therefore we ask that you read the following terms and conditions carefully to ensure that your stay with us will meet your needs and expectations. We reserve the right to ask guests who contravene these terms and conditions or, who in any other way are behaving in a manner likely to cause distress or nuisance to other visitors, to leave the Park immediately. In these circumstances the holiday ceases and we will not be liable for any extra costs incurred by you. We cater for bonafide holiday makers. Bookings – We cater for families and couples only and do not accept groups. Caravan rallies and other organised groups will be considered but only by prior arrangement. We reserve the right to refuse any booking. Bookings can be made using our secure online booking system at www.treloy.co.uk, by telephone on 01637 872063 using a debit card, or by post using a Booking Form. The person making the booking must be a member of the party and be over 18 years of age and warrants to be responsible for all members of the party. There is a maximum of six persons per pitch (including infants). There can be no guarantee that pitches can be extended beyond the date originally booked. Contract – A contract exists as soon as we have issued our confirmation form. It is your responsibility to check this carefully and inform us immediately of any discrepancy. Your contract is with Treloy Touring Park Ltd, Company No. 6535137. Once you have made a booking, and therefore entered into a contract, it is non-transferable. The terms in this contract do not affect you statutory rights. The personal information supplied will be stored for administrative purposes only and will not be supplied to any third parties (Data Protection Act 1984). The price of the holiday – The prices listed include VAT. Once you have made your booking and paid the deposit (which will be deducted from the final balance) the price of your holiday will not be subject to any change unless the rates of VAT increase. The remaining balance must be paid at least 28 days (four weeks) before the start of your holiday. No reminders will be sent out. If your balance isn’t received in time your holiday could be cancelled and your deposit lost. You can choose to pay your balance by debit/credit card by calling Treloy Touring Park on 01637 872063. If you booked online via our website you may pay the balance online. If you prefer to bring cash to pay on arrival this must be pre-arranged at the time of booking. It is regretted that no refunds are given if your choose to depart prior to the end of your booked stay. More than 28 days: value of the deposit only. 28 days and under : 100% of the total holiday cost. We regret the cancelled holiday is non-transferable to a third party. In the unlikely event that we are unable to provide you with your booked holiday, and need to cancel your booking before the holiday is due to start, you are entitled to a full refund of your deposit. Pitch requests – Every endeavour will be made to allocate guests to the pitch of their choice. However, as unforeseen circumstances can arise from time to time it must be clearly understood that acceptance of a booking is not conditional on the allocation of a particular pitch and cannot be guaranteed. 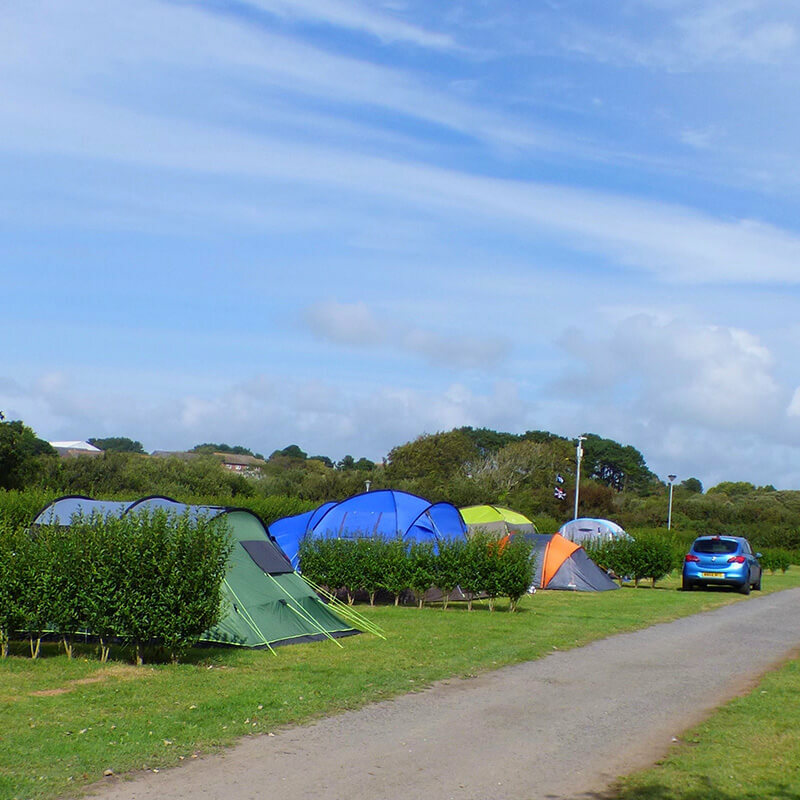 Multiple pitch requests – We fully understand that some couples and families like to come camping together and we do not wish to cause our guests disappointment or distress, therefore it must be fully understood that while we will do our best, we cannot absolutely guarantee all pitches side by side. 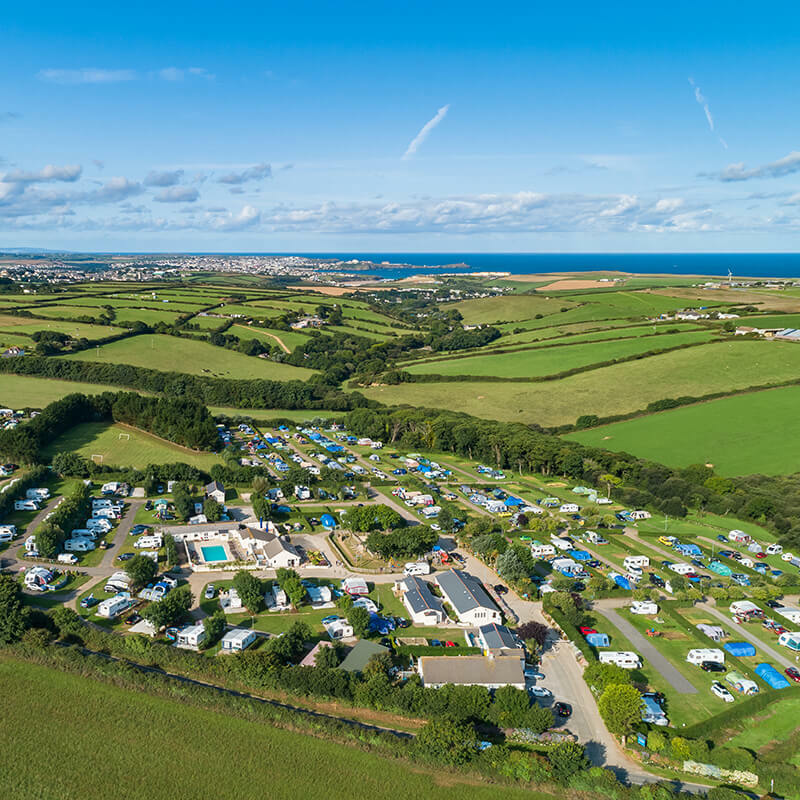 Pitches – It is your responsibility to ensure that the correct size unit (caravan/tent/trailer tent/folding camper/campervan/motor home) has been stipulated at the time of booking. Should you subsequently alter your requirements we cannot guarantee to provide you with an appropriate sized pitch. 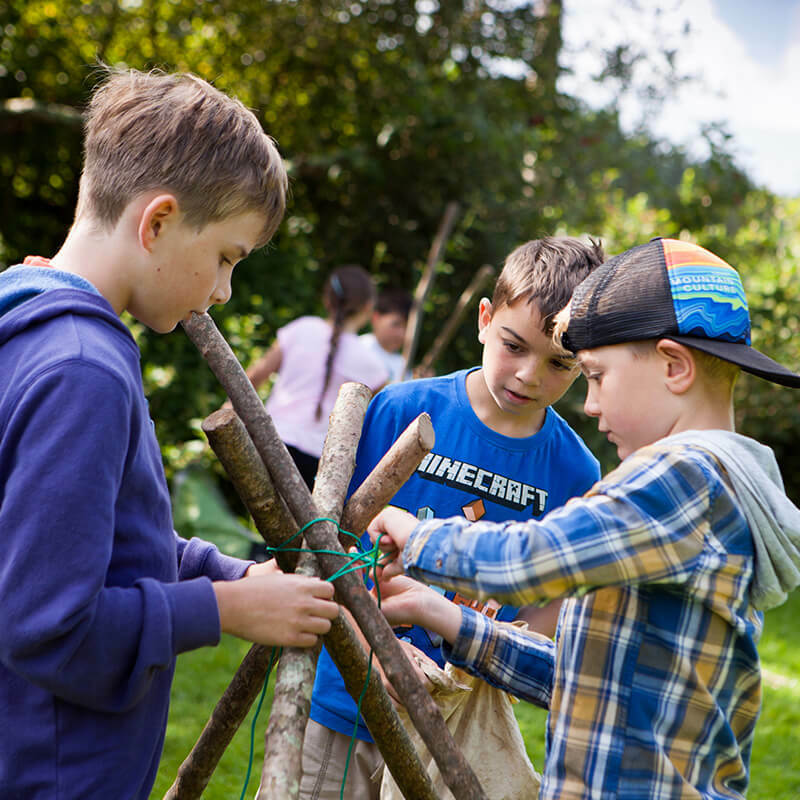 Children’s tents and gazebos are permitted at our discretion but will depend on the size of your allocated pitch and main unit – if we deem that there is not sufficient room on the pitch and you are causing an obstruction/hazard, or you are encroaching onto a neighbouring pitch, then we will require the item to be moved or removed. All guy lines must be sited on your pitch only – you must not encroach onto the neighbouring pitches or thoroughfares. Please use a breathable ground sheet. Your pitch number, pitching instructions and directions to it will be confirmed on arrival. If you are in any doubt whether you are on the right pitch please check with a member of staff. Any guest on the wrong pitch may be required to move. Only one vehicle can normally be parked within the parameters of the pitch. Please do not bring additional vehicles unless specifically agreed prior to your arrival. All vehicles are subject to the Park’s tariff. The law requires a safe distance (at least 3 metres) is kept between your units and the units on your neighbouring pitches. Please do not put wind-breaks on the pitch lines. Arrival and departure times – Pitches are normally ready by 11am (and we ask that you do not arrive before this time). Please advise if you are likely to arrive later than 6pm. Latest arrival time is 8pm. Pitches must be vacated no later than 10am on the day of your departure. If we have not heard from you within 24 hours of your expected arrival date we reserve the right to re-let your pitch. Holiday behaviour and standards – By making a booking with us you have entered into a contract in which you undertake, on behalf of yourself and the people in your party (including children), to adopt the following standards of behaviour: not to create any undue noise or disturbance to fellow guests at all times but especially during the hours of 11pm to 7am; to act in a courteous and considerate manner towards us, our staff and guests; to supervise children properly so that they are not a nuisance to other visitors, or a danger to themselves or to others. Parental supervision is essential when children are using the playground equipment and the swimming pool. The swimming pool has a minimum depth of 0.9 metres (3ft) and slopes to a maximum depth of 1.6metres (5ft3ins) at the opposite end. The paddling pool is 0.38metres (15ins) deep. Children under the age of 15 must be accompanied by an adult. The playground is closed at 9pm. Please do not leave any children/teenagers unattended on the Park. Please ensure all ball games are played in the recreation field so not to cause a nuisance or danger to other guests. You further agree that you will not: Commit any criminal offence at the Park or undertake any criminal activity; Commit any acts of vandalism or nuisance; Keep or carry any firearm or any other weapon including bb guns at the Park; Use any unlawful drugs; Carry on any trade or business while on the Park. Health and safety – We take the wellbeing and safety of our guests very seriously and we ask that you comply with the following: The speed limit on the Park is 5mph; All vehicles must conform to the Road Traffic Act and have current tax, MOT and insurance; The provisions of the Highway Code apply on the Park; No recreational vehicles can be used on the Park, this includes motorised scooters; Bicycles must be ridden with care and consideration on the Park and cyclists must adhere to the 5mph speed limit; Kites are permitted but only in the recreation field; Drones are not permitted on the Park. The lighting of fires, wood burners, Chinese lanterns etc is strictly prohibited. All barbecues (charcoal or gas only) must be raised off the grass – bricks are available for use with disposable barbecues. Please allow containers to cool before disposal. Remember carbon monoxide can kill therefore a fuel-burning appliance should never be used inside a tent or awning. Please familiarise yourself with the Fire Points in your area. Please put rubbish inside the bins provided, to avoid attracting gulls, squirrels, etc. Please use the bins provided in the toilets to dispose of sanitary towels and nappies. To avoid nasty blockages, never put them down the loos. Persons using Treloy Touring Park and its facilities do so entirely at their own risk and we do not accept liability for the loss or damage to persons and/or property beyond our control. Dogs – Maximum of two well-behaved dogs per pitch, and no dogs listed under the Dangerous Dogs Act 2014. Please keep your dog on a short lead (max. 2 metres) on the Park at all times; clean up any fouling; take your dog with you at all times when you go off site. We reserve the right to refuse any dog and/or require that the owner removes their dog from the Park if it is a nuisance or danger to other guests or, if in our opinion, it is inappropriate for a family site; For health and safety reasons, and for the comfort of other Park guests, we do not allow dogs in the recreation field, the children’s play area, the showers/toilets, the games room, reception, the shop, or the swimming pool. Chemical toilet emptying – All chemical toilets must be emptied at the designated points only. You must only use ‘green’ environmentally friendly biodegradable liquids. Day visitors – Visitors to guests staying at Treloy Touring Park may be allowed on the site, subject to prior arrangement. We cannot guarantee access at busy times. Visitors must report to Reception. Guests must tell their visitors where to find them. We ask that day visitors do not arrive before 12 noon and that they check out at Reception and leave the Park by 8pm. Other – No mechanical or repair work is to be undertaken on the Park. Please notify reception if you have requested the assistance of a breakdown vehicle (no breakdown vehicles on site after 9pm). We do not allow lorries/lorry conversions on the Park unless by prior arrangement. This includes towing vehicles, unless by prior arrangement. The use of generators is not permitted. Cutting or damaging trees and shrubs and other vegetation is strictly prohibited and the natural conditions are not to be disturbed. This includes tying ropes/guy lines/washing lines to, or driving nails into, trees and shrubs. 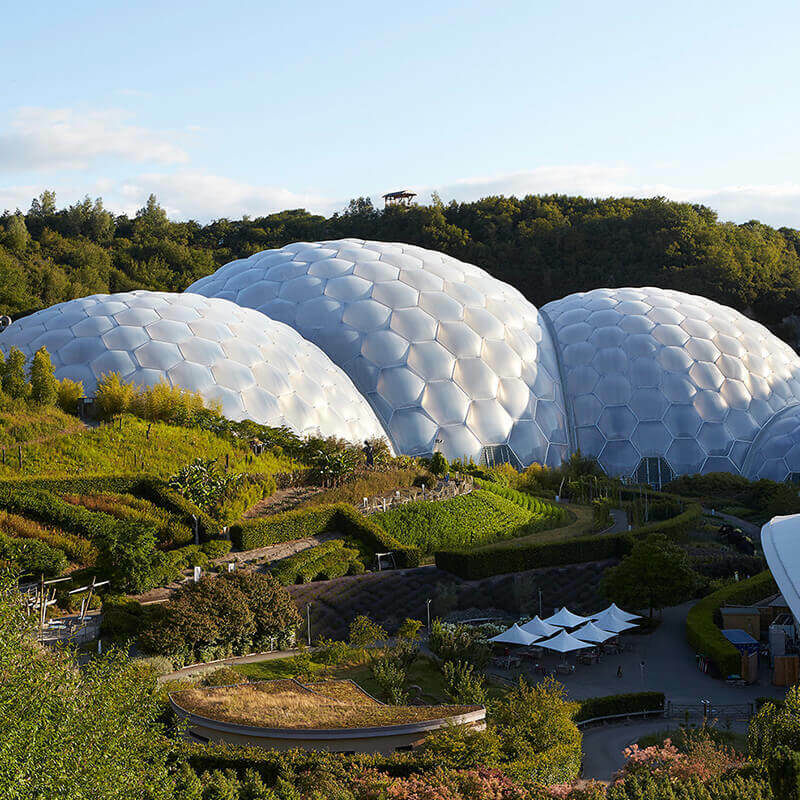 Some facilities may be reduced or curtailed according to the season – please check at the time of booking if you are in any doubt, to avoid disappointment. Please ensure the safety and security of your belongings during adverse weather conditions as the Park cannot be held responsible for any damages. We cannot accept liability for facilities/amenities becoming unavailable due to circumstances beyond our control. 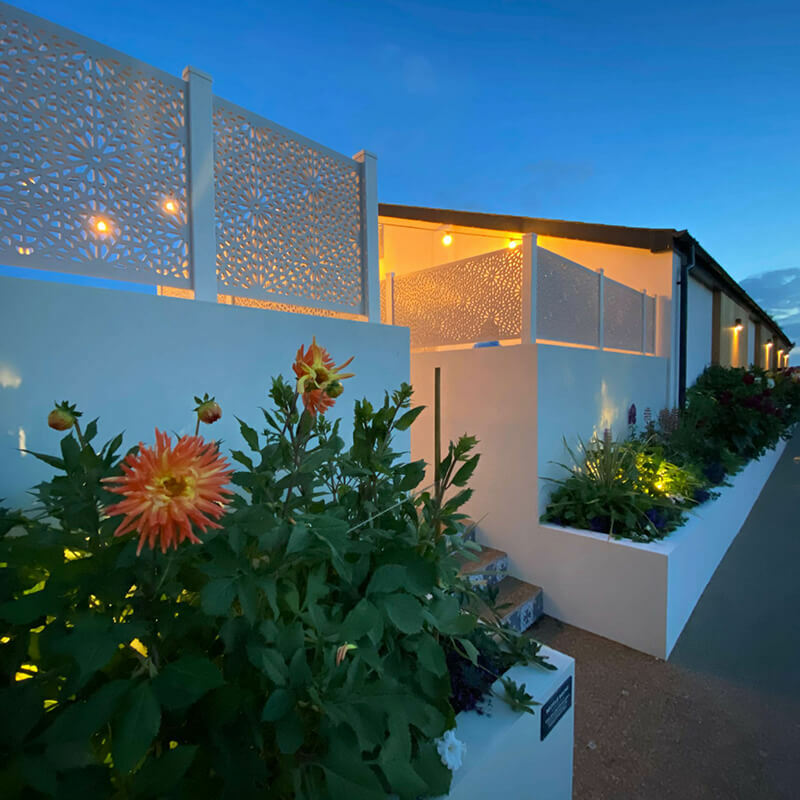 Our guests comfort and safety are paramount and we will always endeavour to have facilities available for use again as soon as possible. 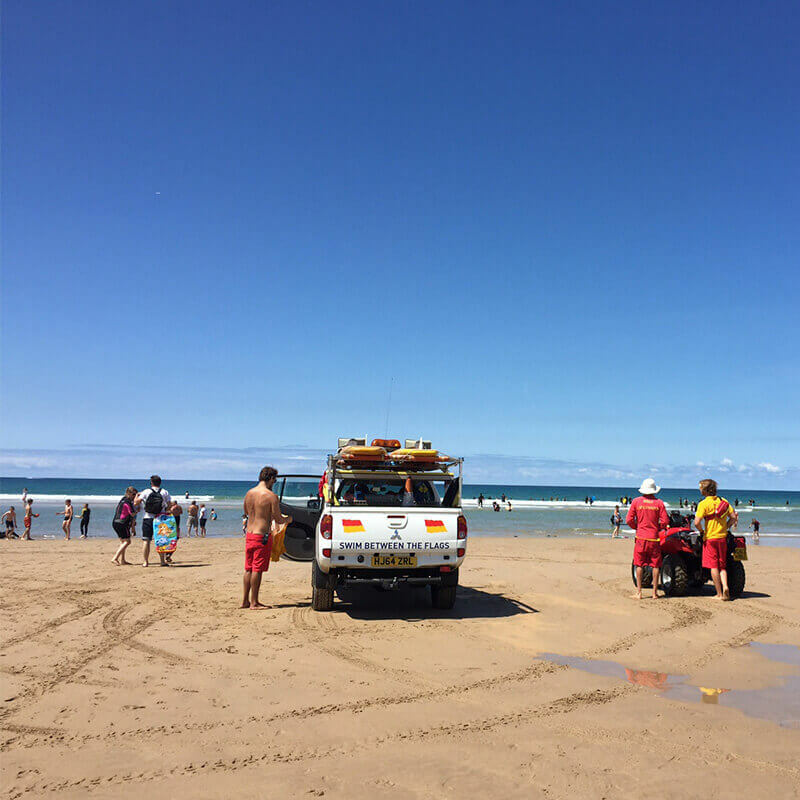 Complaints – If you have a complaint during your holiday please raise it with a member of staff immediately as we cannot rectify the problem once you have left the Park.